There are many hard realities in Haiti. Change is needed – and lots of it. The next generation may very well include lots of lawyers, doctors and fine scientists, but peace and prosperity are not only a matter of having enough food or land. We need to look at other shortcomings too – the lack of respect and values. Development starts with education. In particular, quality Christian education. As an active network organisation, CRECH believes strongly that Christian education is about more than simply teaching the Bible. Children must also be able to learn and implement values in their daily lives together with the skills and knowledge acquired. At CRECH we have a solid base of 60 members in Haiti, including Christian schools, churches and missions. Active all over the country, we provide an outstanding curriculum based on the national requirements and adapted to the local and cultural context of the children. We also offer training to teachers, school directors and parents. This combination of a strong network, curriculum development and teacher training is key to improving the quality of education in Haiti. The Consortium pour le renforcement de l’éducation chrétienne en Haïti (CRECH) was established to strengthen Christian education in Haiti through more than 40 different Christian organisations. Its founding members believed that there should be an organisation specialising in education that would be able to equip Christian schools with resources to put Christian philosophy into practice. There was a major problem related to achieving quality Christian education within the evangelical protestant community in the country that needed to be tackled: the lack of a unified curriculum for different schools. In practice, each institution was working with a program it developed in house. CRECH was able develop the two curricula: one for the biblical teaching itself and one for the integrated teaching of biblical values. 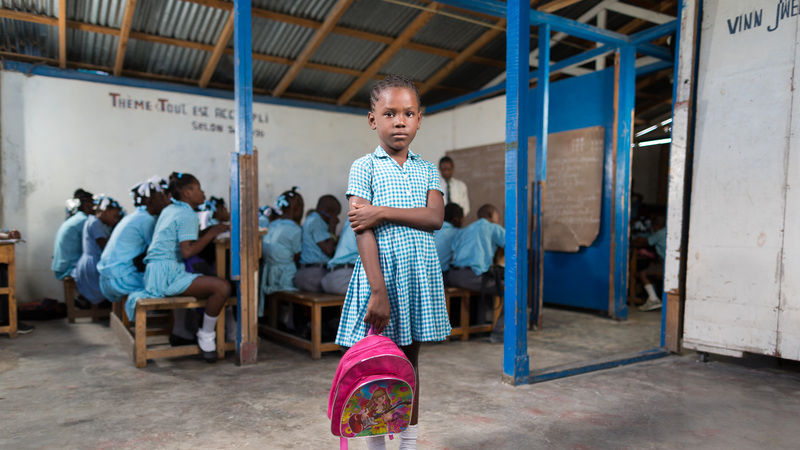 Children and young people in Haiti will be transformed through Christ-centred education. This will allow them to become agents of sustainable social transformation. CRECH’s mission is to develop and strengthen Christian education in Haiti through the establishment of tools, structures and infrastructure to help improve the quality of teaching and academic performance of evangelical and protestant schools for the betterment of the community.